Educators are the lead learners in schools. If they are to enable powerful, authentic, deep learning among their students, they need to live that kind of learning and professional culture themselves. When everyone is part of that experiential through-line, that’s when next generation learning thrives. More than 60 adults gathered at the historic Lightkeepers House in Cohasset, MA to experience project-based learning as a community: educators, parents, local businesses and nonprofit organizations, and civic leaders. I learned that the potential for authenticity embedded in PBL (Project Based Learning) is powerful, and there are a host of talented experts in the local community with similar goals. Why learn about lobster fishing from a book when you can learn about it directly from the fisherman in his workplace? 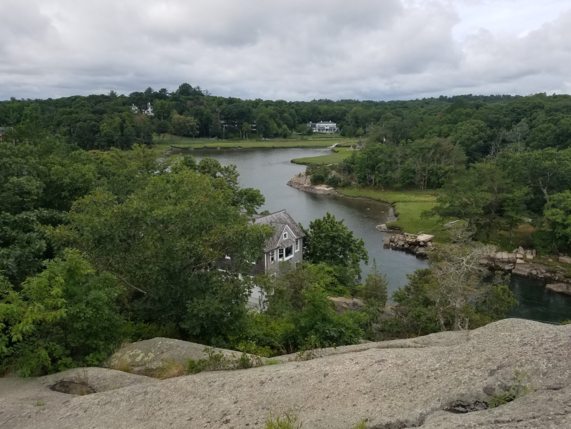 On July 26, 2018, more than 60 adults (twice the number expected) gathered at the historic Lightkeepers House in Cohasset, a small coastal community in Massachusetts, to experience project based learning as a community. Educators from Cohasset and nearby Scituate, faculty from the University of Massachusetts, parents, representatives from local businesses and nonprofit organizations, and civic leaders came together for a day of authentic, experiential learning and community network building in support of PBL practices. 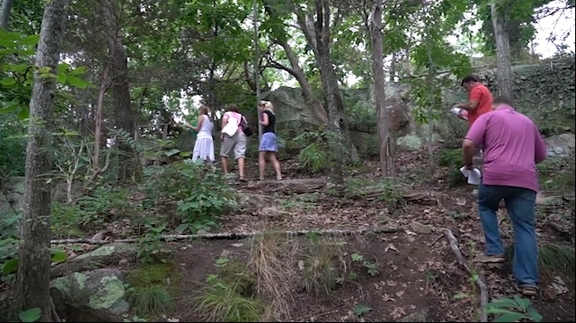 Over the course of the day, groups of participants scrambled over rocks to learn about geology, reflected on and made observations of the coastal environment, and engaged in a design challenge, in which they pitched an idea for a Cohasset ecotourism experience to a "shark tank" panel of local entrepreneurs. The idea underlying the event was that the best way for adults to understand the power of authentic learning was for them to experience it for themselves. 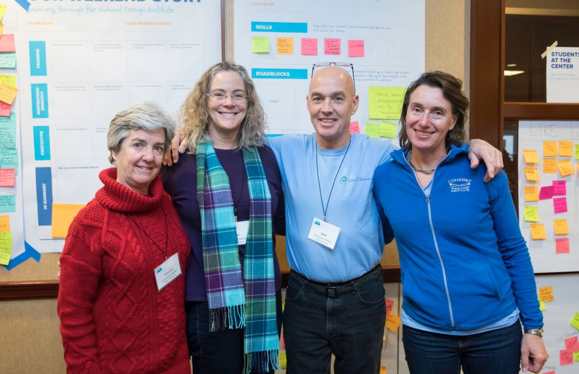 I jumped at the idea of doing the summit because it was a perfect opportunity for Cohasset Schools to take CSCR's energy and momentum and use it as a springboard for our initiatives: collaboration with community members, 21st century learning, efforts to connect with PBL and experiential learning. All the pieces really fit together. Like any high-quality experiential learning, the PBL Summit was the culmination of months of careful design, planning, and collaboration. 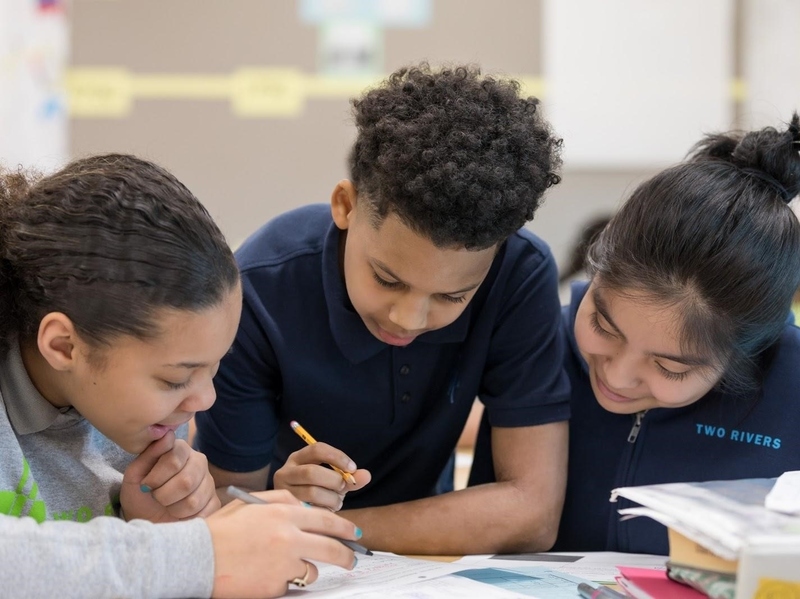 The event was initially conceived in March at a School Design Institute hosted by Mass IDEAS, a Massachusetts-based initiative of Next Generation Learning Challenges, with funding provided by the Barr Foundation and the Nellie Mae Education Foundation. 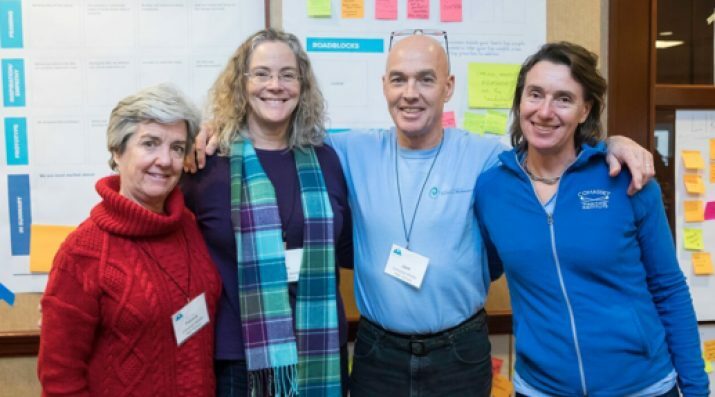 The original team was made up of two Cohasset educators, Patricia Thompson and Ann Thomae, and two leaders from CSCR, Susan Bryant and Jack Buckley. That prototype experience was then refined and expanded, bolstered in part by a mini-grant and program development support from Mass IDEAS. As they created the agenda for the summit, the organizers worked to design an event in which adults would play the role of learners and discover the power of authentic, experiential learning the same way students would. To that end, much of the morning was spent in site rotations. Groups traveled on foot to learning stations in or near the harbor, like the Minot Light, Salt Marsh, and a working lobster boat. All of these places are significant in local history, but rather than presenting the sites in a traditional way, the design team chose to use an inquiry approach. "The sites are rich, and there is a lot of information about them," explains Susan, an ecology coach and secretary of CSCR's board, "but an important part of the design was that we tried not to rely on local experts but instead have participants go to the site and observe and experience them, to have people see how much you can possibly learn by being quiet and looking at things and being curious." Ann, who chairs the science department at Cohasset Middle High School, admits to being a bit skeptical about that element of the design. "I was not 100 percent convinced that not having experts at the sites to walk us through or that having two minutes of silence out of doors would affect the way you learn," she recalls, "but it actually led to a much more organic and student-centered discussion." Ann also discovered that each group had at least one person who knew something interesting about the site. For example, during her group's discussion on Beacon Rock, she realized that she had found a resource for co-teaching a geology lesson to her students. "One of the participants in my group just happened to volunteer the information that I would have organized if I had done it in a more traditional teaching way," she explains. "That was very powerful." Susan echoes that idea, noting how the event modeled the experience of students learning from each other. According to her, "A lot of knowledge these days is from crowdsourcing—a group of people contributing ideas and sparking curiosity. This is essential to lifelong learning." For Jack, CSCR's founder and president, an exciting aspect of the day's learning design was its open-endedness. While noting that the time for sustained inquiry was limited, he was pleased to see "the richness of all the various academic connections when you allow people to run in different directions. That's how you dive into a PBL experience, not knowing exactly where you might end up." The afternoon's design challenge also sparked some reflection on Jack's part. After one design team presented what he thought was "a wild idea," a successful entrepreneur on the panel surprised Jack by responding favorably to it. "Hearing someone in business say 'you are onto something' got me thinking about the wild and crazy things students come up with—you might dismiss them as impossible, but maybe it's a pretty darn good idea." My Eureka moment at the PBL Summit was about what a great resource we have in our natural environment around Cohasset. It's our greatest resource—the ways we can interact with it and all of the community members. Here are all these connections that Cohasset schools can make within this small community. Maybe we are not taking full advantage of it. 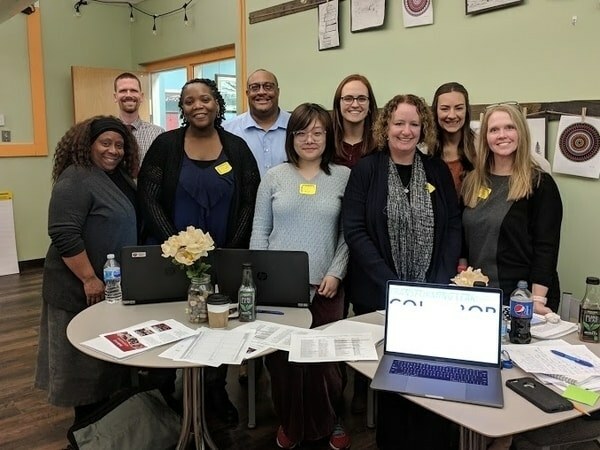 Every aspect of the PBL Summit reflected a deep connection to the place and the people who live and work there. The choice of the iconic Lightkeepers House overlooking the harbor as the meeting space, the selection of natural and human-made sites for inquiry and observation, and the ecotourism design challenge all exemplify an authentic, placed-based, and community-engaged approach to learning and assessment design. According to the organizers, one of the greatest assets to come out of the PBL Summit was the community and its enthusiasm for this kind of student learning. Both Jack and Patrick emphasized that the small community—about 8,000 residents—has always been supportive of Cohasset schools and CSCR, but the level and specificity of commitment expressed at the end of the day exceeded their expectations. 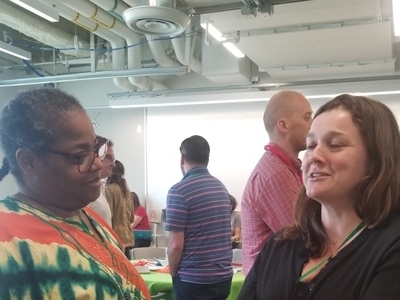 The PBL Summit was designed, Pat says, "to foster community connections and forge authentic assessment practices, but to watch the community members step up one by one and say, 'I can connect in this way' and 'I can offer this' and watch teachers respond to that was an amazing moment. I was pleasantly overwhelmed by the offering of support to help our kids—it was very inspiring and my favorite moment of a day of great moments." Ann, too, was personally inspired by the summit. "So many connections were made. People were saying, 'I'm going to email you tomorrow and schedule that geology lesson' or 'let's meet on Friday to plan.' Teachers may expect support but not such specific help, so different from the typical ways teachers access resources. The relationship we have with administration through the PBL Summit has made a huge difference. Teachers in my department know that Patrick will support them if they want to get moon rocks from NASA or have a couple of days with subs to get a new project off the ground. They know there are people in the school and organizations outside to help them. It's given them a real shot in the arm. Based on the enthusiastic feedback organizers received, both in person and through the exit survey, the PBL Summit was an unqualified success. A month later, the excitement and momentum continue unabated. Jack is eager to continue the work of integrating PBL as an essential part of how Cohasset students learn. He is looking forward to being part of the diverse team of school and community partners who have applied to the next Mass IDEAS design weekend in October. "We have interest at so many levels. We have teachers, community, and parents saying 'I'm in' on advancing the ball down the field." Patrick describes himself as "very ready for Cohasset Schools to play a major role here, partnering with CSCR and other folks to connect authentic learning experiences to our students." His plans for the coming academic year include creating "an innovation team that would foster these opportunities for our kids through PBL, experiential learning, and authentic assessment. I see this as just the beginning of long-lasting relationships between Cohasset Schools, CSCR, and partners in the community." A flyer for educators and another flyer directed at members of the community announce the Project Based Learning Summit and list the event's goals. The PBL Summit presentation deck, inspired by the Cohasset team's experiences at the Mass IDEAS School Design Institute, describes the events and activities of the day. The PBL Summit agenda provides a one-page overview of the day. Groups of participants used this Power of Place protocol to guide their observations, reflections, and discussions at the various stations. As a Learning Officer for Next Generation Learning Challenges, Amanda collaborates with pioneering educators and their communities to design authentic, powerful learning experiences for young people. 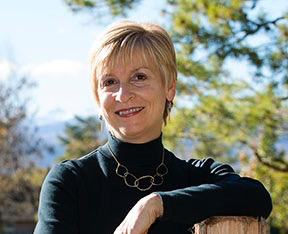 She creates educator professional learning experiences that exemplify the kind of learning we want for our students and she supports, connects, and celebrates, through storytelling, the educators who are already doing the challenging work of transforming learning every day.